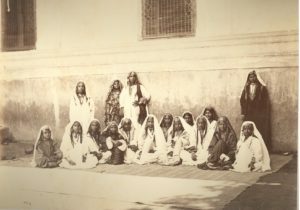 A Group of Kashmir Females, c1863. Condition: Good contrast & tonality. Photographer: Charles Shepherd. Bourne catalog #809.